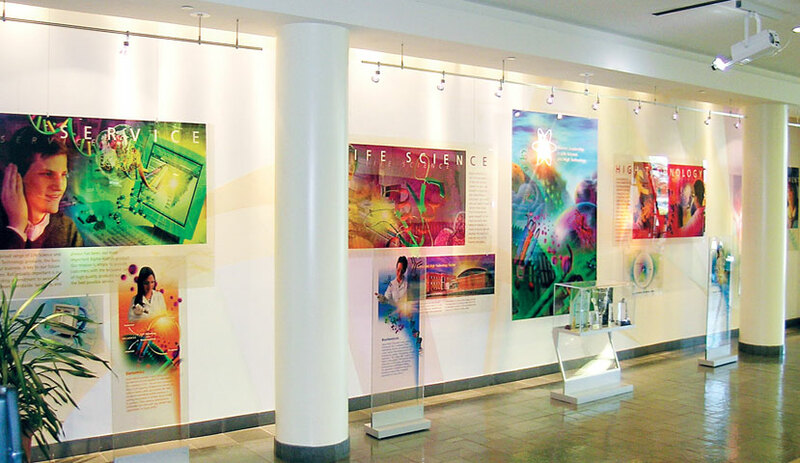 Every day hundreds of people get their first impression of Sigma-Aldrich when they enter the world headquarters lobby. 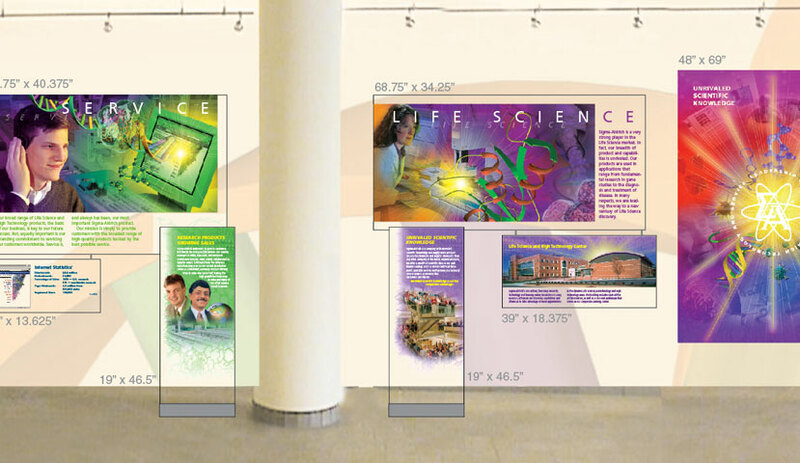 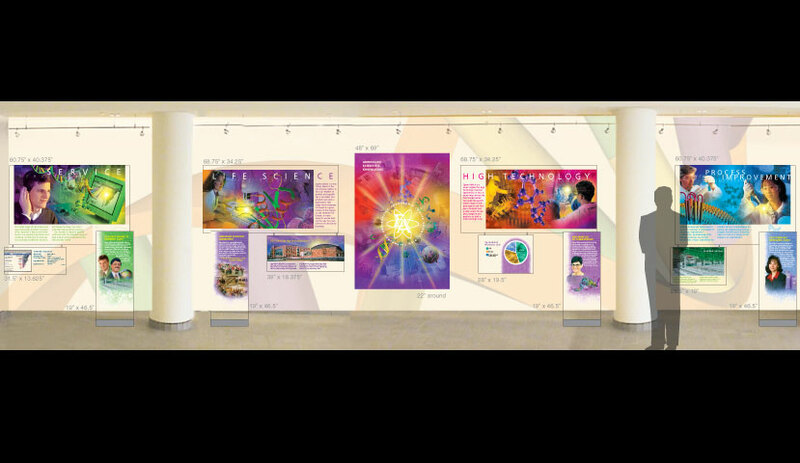 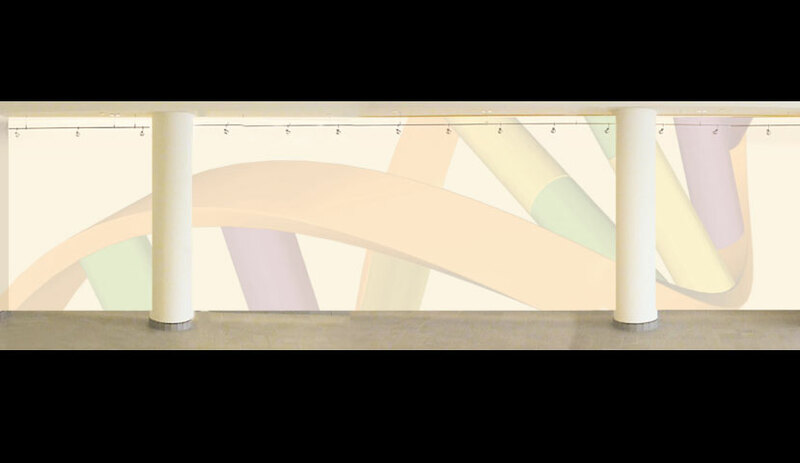 We designed a solution that included a full-color, large-scale illustration of a DNA strand painted on the back wall of a 35 foot by 9 foot lobby alcove as the backdrop to translucent photo-illustrations of life science elements and research scientists hung from the ceiling and placed in custom-built floor stands. 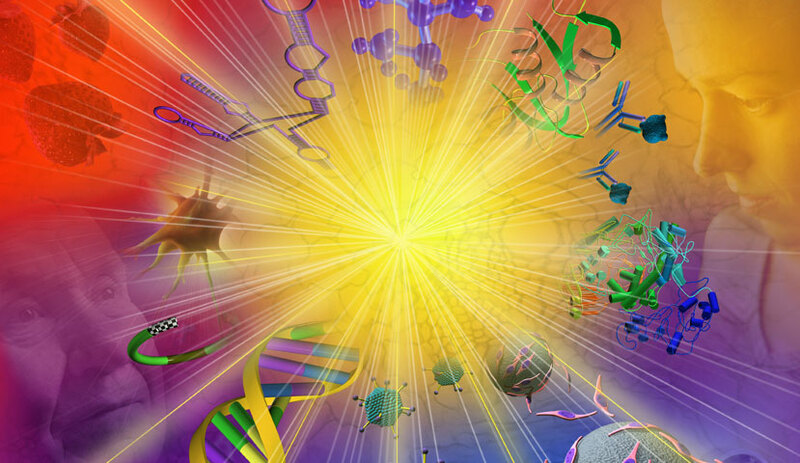 A revolving gobo lens attached to a spotlight projects the Sigma-Aldrich logo and mission statement onto the Annual Report cover image, giving a sense of movement to the entire exhibit.